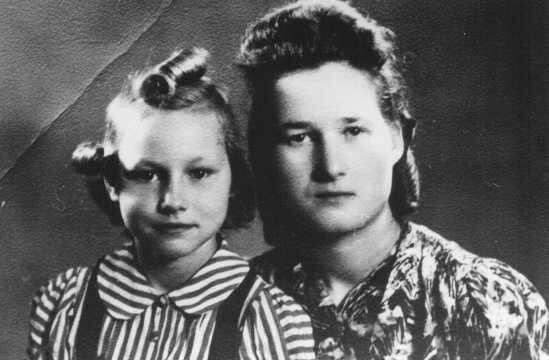 Stefania Podgorska (right), pictured here with her younger sister Helena (left), helped Jews survive in German-occupied Poland. She supplied food to Jews in the Przemysl ghetto. Following the German destruction of the ghetto in 1943, she saved 13 Jews by hiding them in her attic. Przemysl, Poland, 1944.